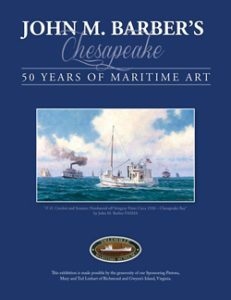 One of Barber’s favorite spots on the Chesapeake is Deltaville, Virginia near the mouth of the Rappahannock River. 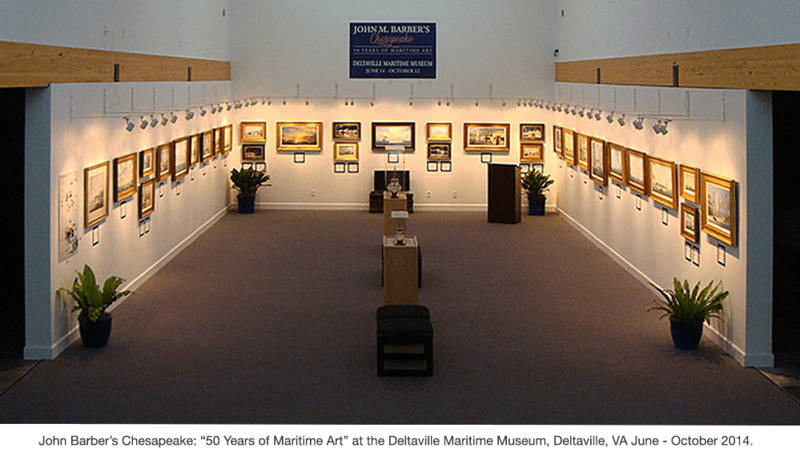 The family has owned a home there and boated from this quaint little town for many years.In 2014 the Deltaville Maritime Museum opened a retrospective exhibit of over 50 of the artist’s paintings for four months. These paintings were created over 50 years and most were graciously loaned by their owners. The Exhibition ran from June through October, 2014. 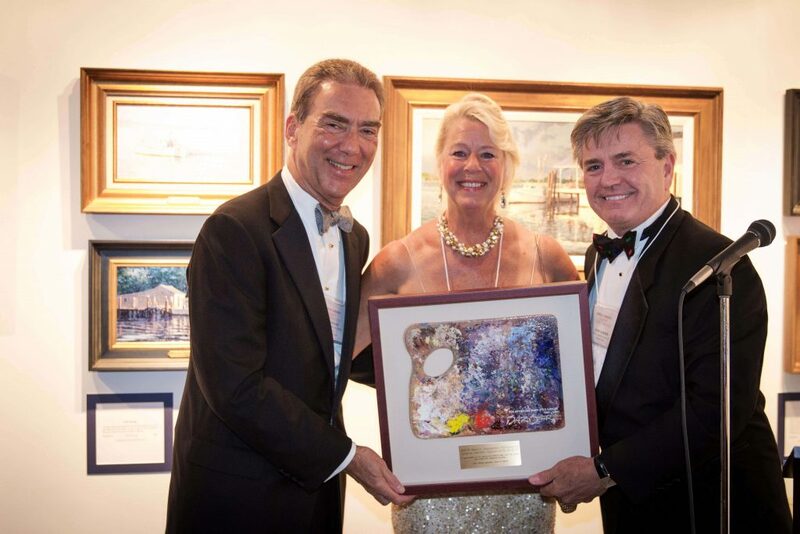 The artist presents John M. Barber’s Chesapeake’s Sponsoring Patrons, Mary and Ted Linhart of Richmond and Gwynn’s Island, Virginia with one of his “well used” palettes. 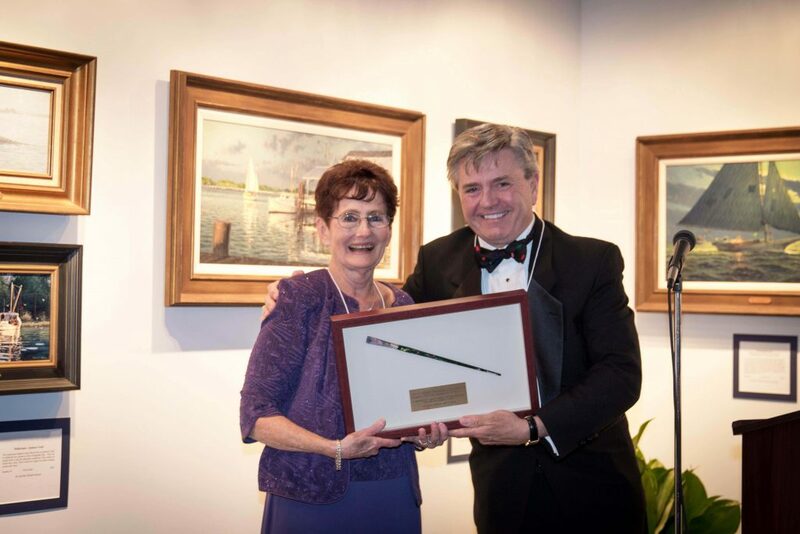 John presents the Exhibition’s Sponsoring Chairperson, Duanne Hawkins with a brush that was used in creating a painting for the Deltaville Maritime Museum.